What is your favorite, and LEAST favorite, Christmas song? Favorite- I Heard the Bells on Christmas Day, God Rest ye Merry Gentlemen, Merry Christmas Darling, Carol of the Bells, Step into Christmas (who doesn't love some snappy Elton John), Any of Ella Fitzgeralds covers. Least favorite- I worked at Christmas Tree Shops for a spell and they had the worst Christmas playlist in the universe. Taylor Swifts Mr. Grinch, Mamasita donde esta santa claus, and this extremely slow banjo cover of Charlie Browns "Christmas time is here" which made me want to stab myself it was so slow and depressing and just weird.. to this day I've never heard that version again. Too many posts about to tattoo or not to tattoo, how about sharing the stories/photos of the tattoos you have for those who have tattoos! I'd love to see the different medical/nursing tattoos especially. 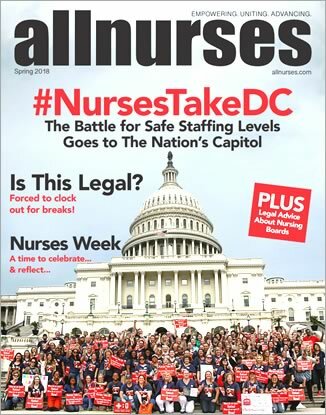 Thanks, Nurses! I'm going for my license exam soon and I'm hoping to get a celebratory nurse tattoo once I get licensed and land my first job :) I drew a vintage nurse holding a pot of tulips inspired by this picture: Anyways there's TONS of posts on here about whether or not to get tattoos, whether they're professional, keeping them visible or not ect. but THIS post is just for those who do have tattoos to share them especially if you got a nurse/medical themed tattoo. Pictures or descriptions are welcome!